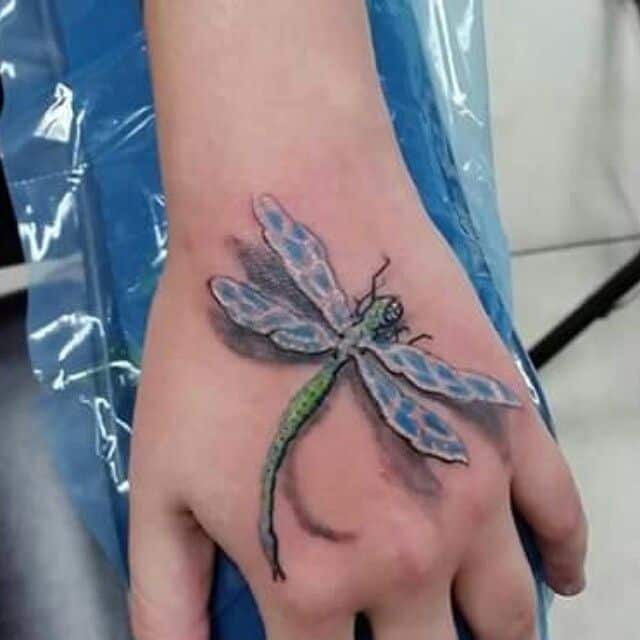 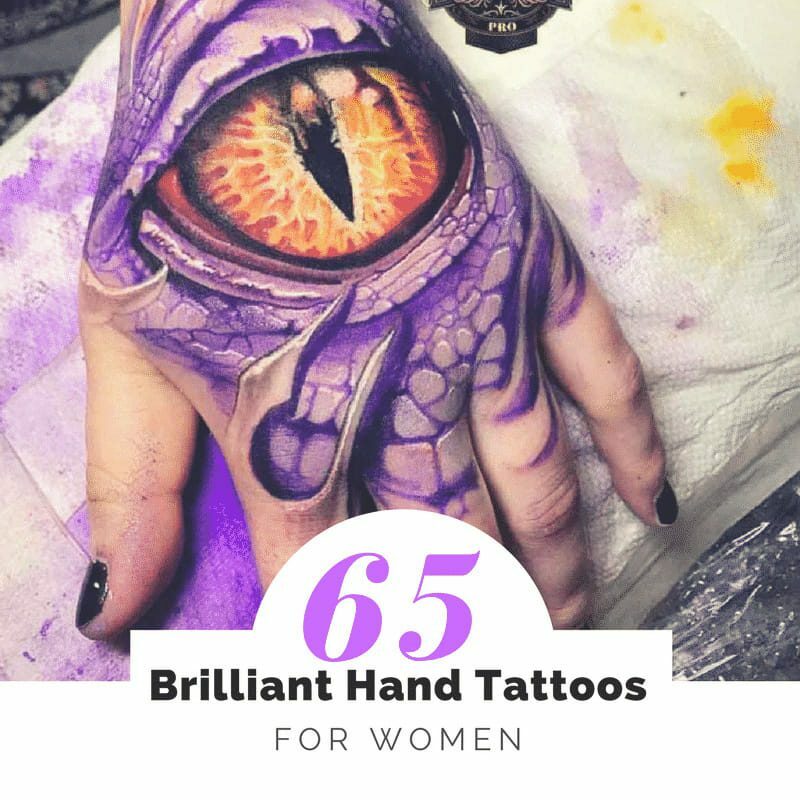 Home Tattoos Female 65 Brilliant Hand Tattoos for Women – Your Inkspirations! 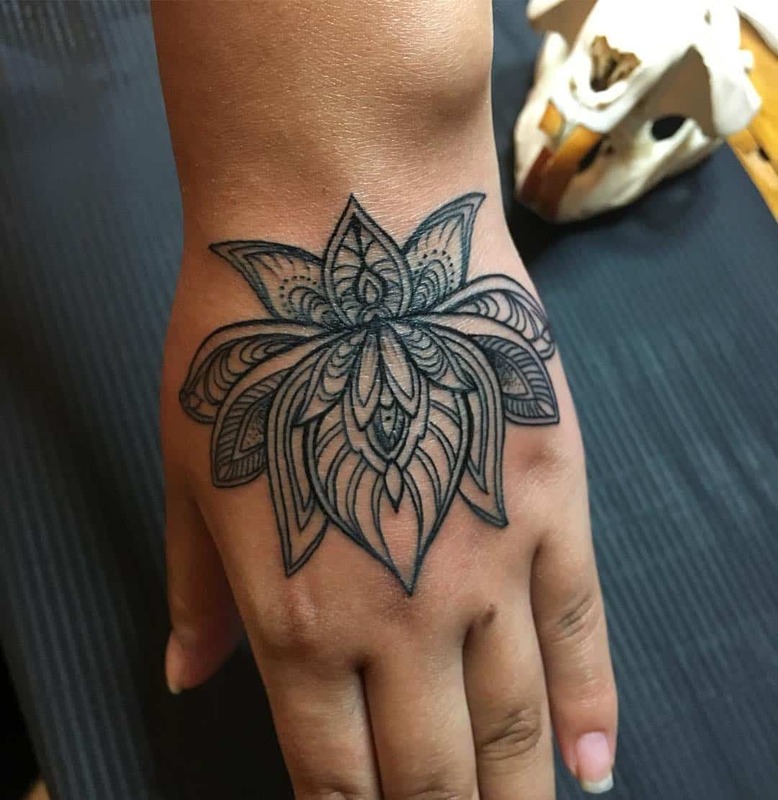 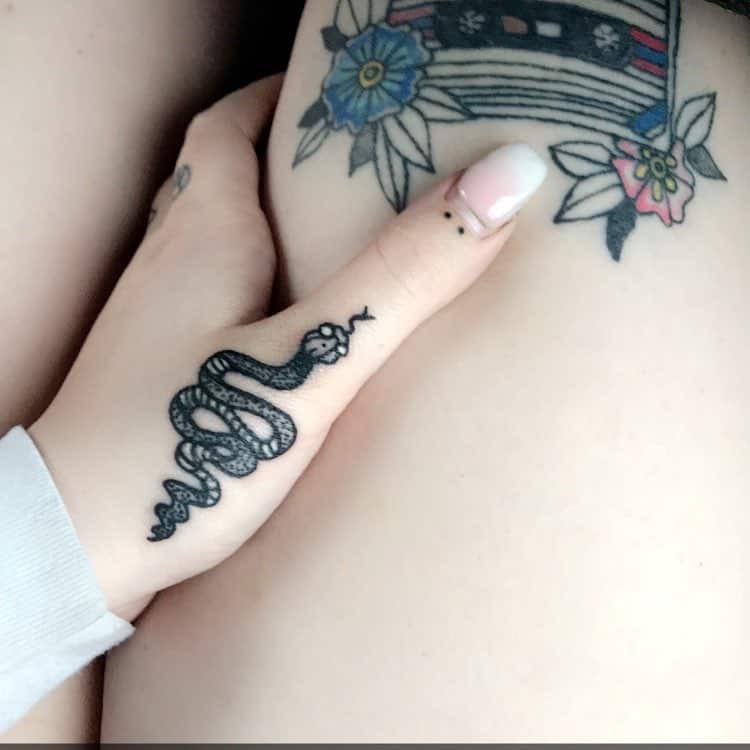 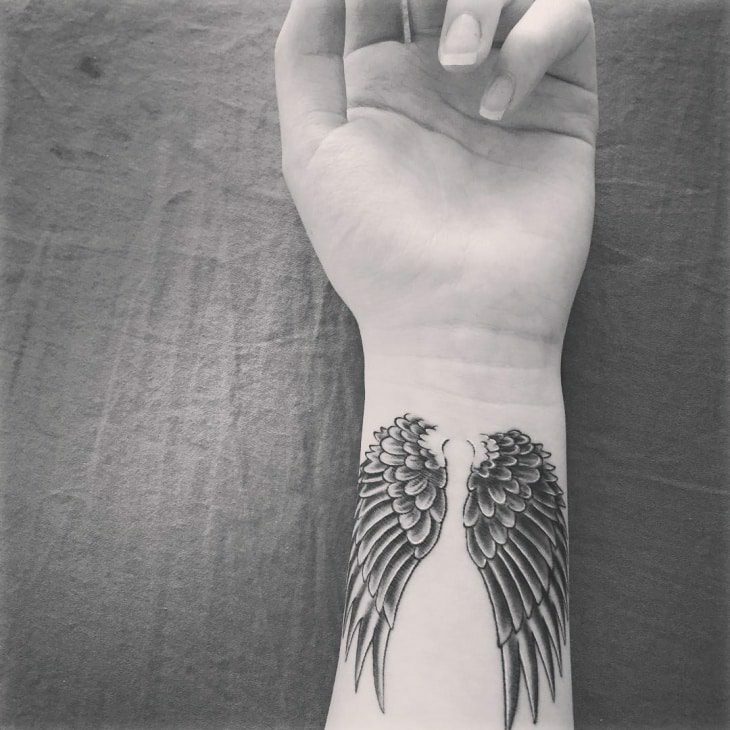 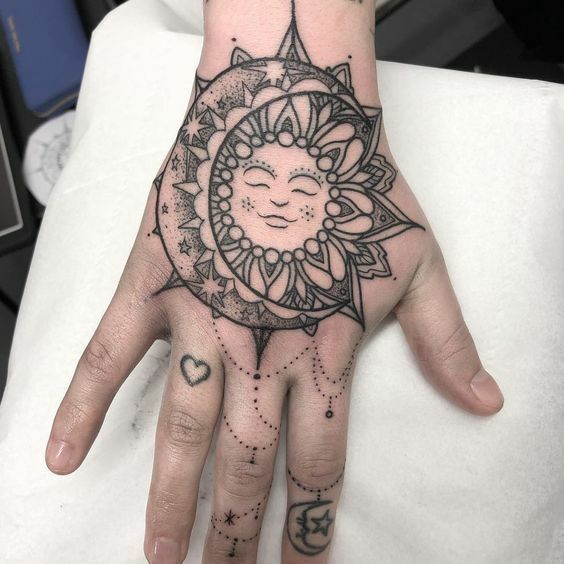 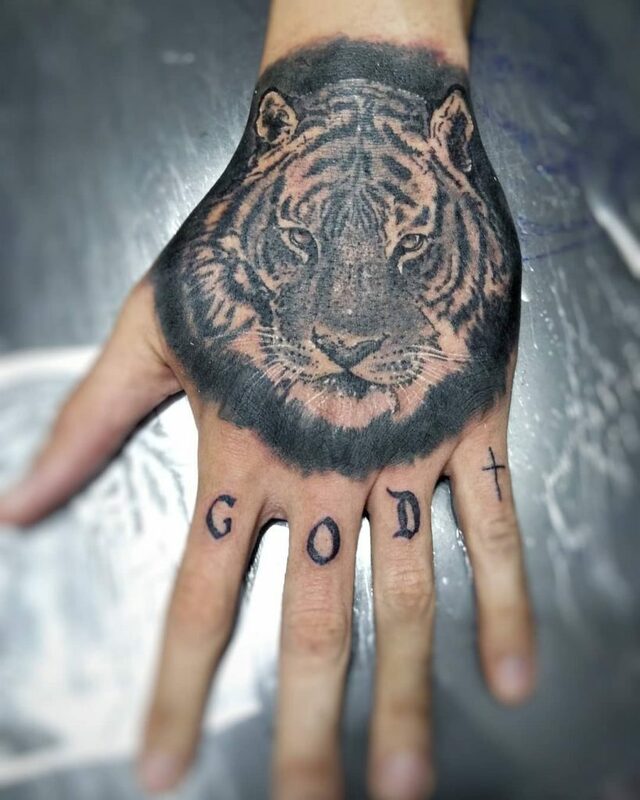 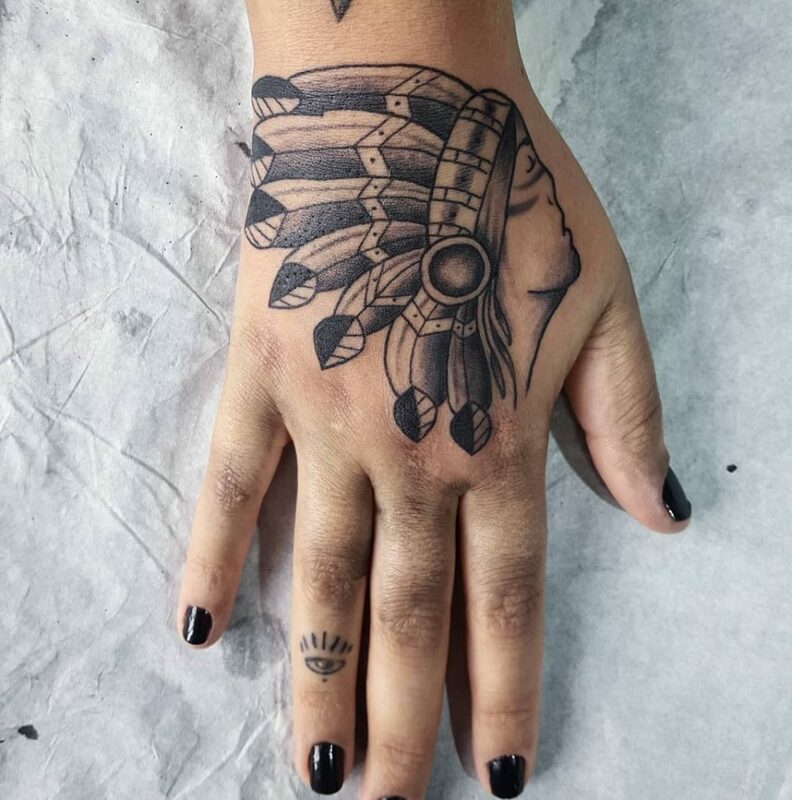 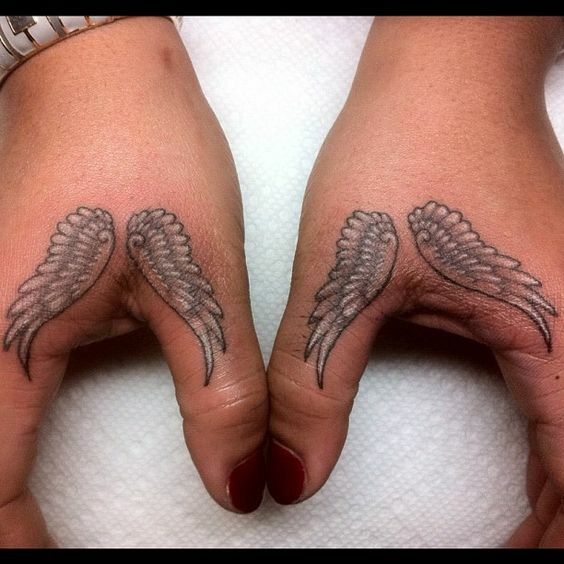 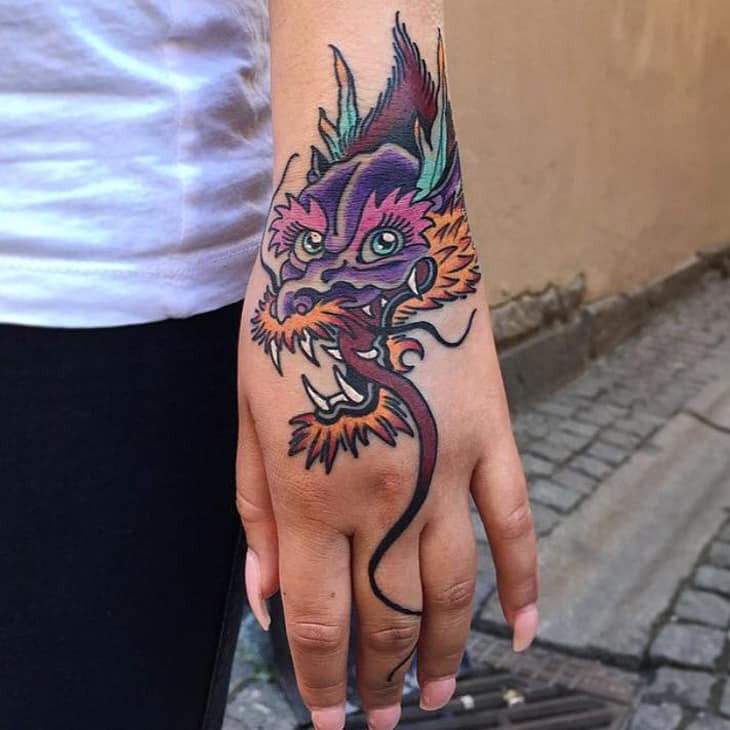 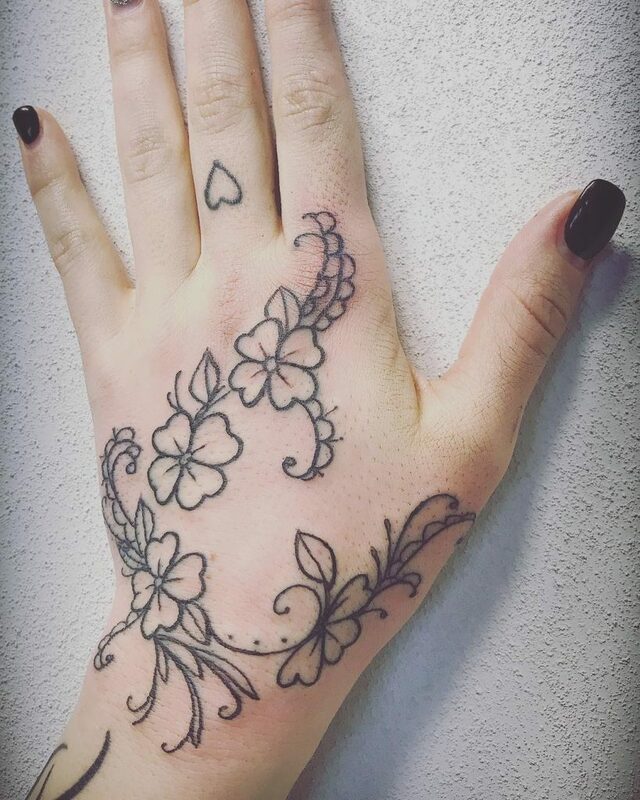 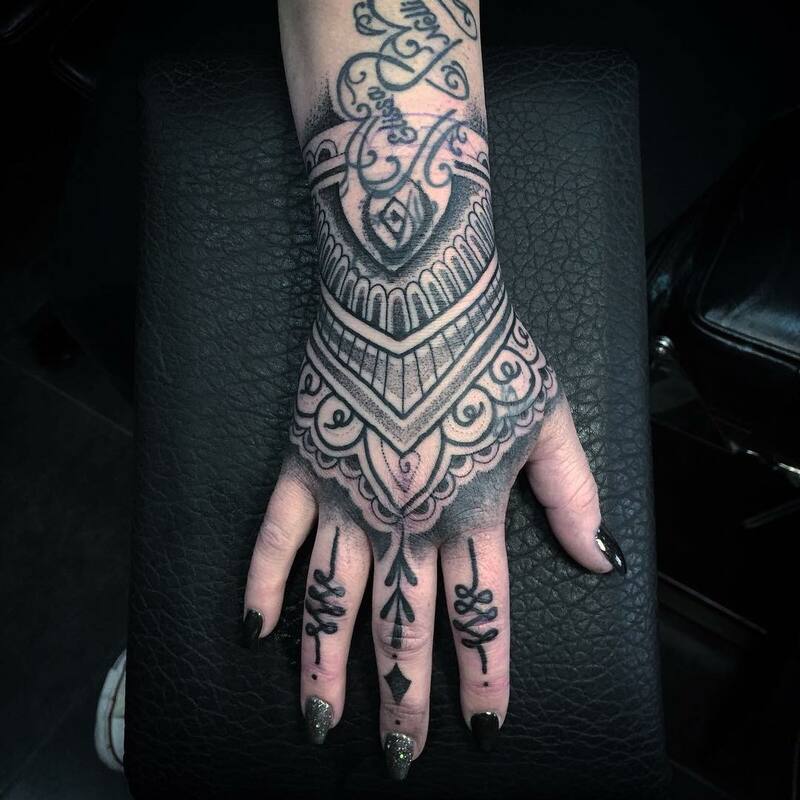 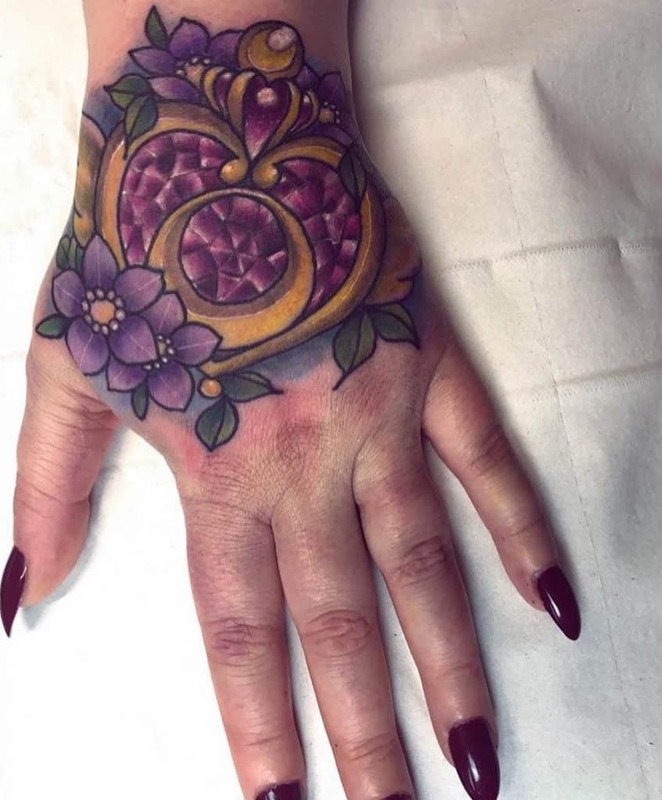 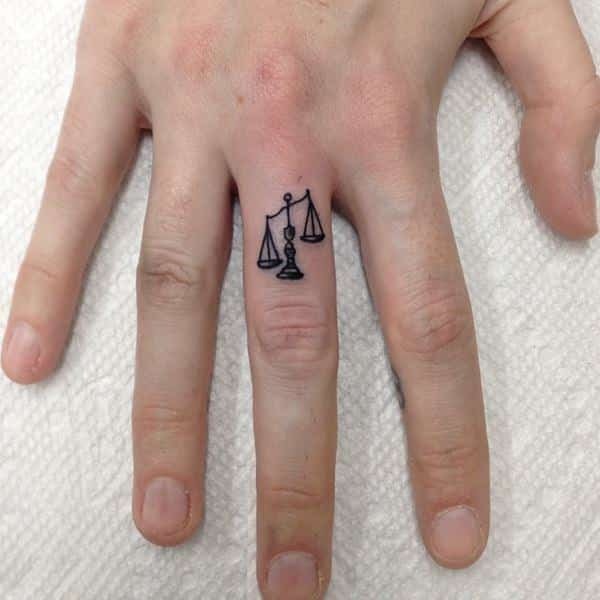 65 Brilliant Hand Tattoos for Women – Your Inkspirations! 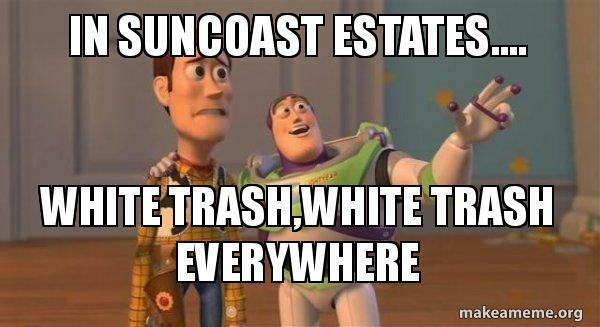 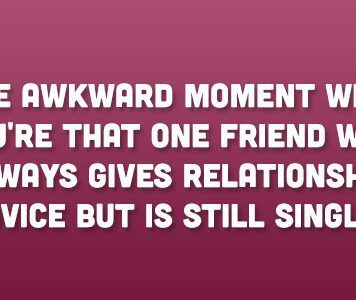 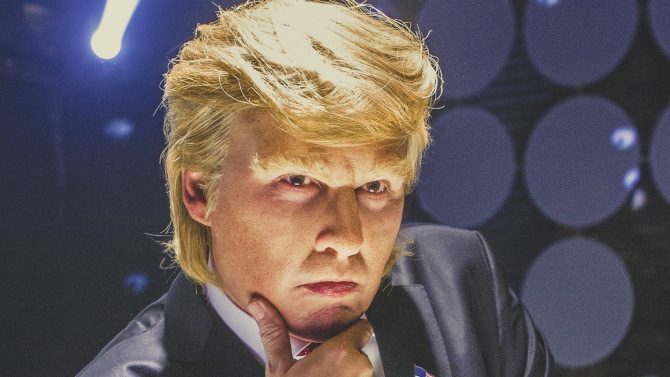 Let’s face it. 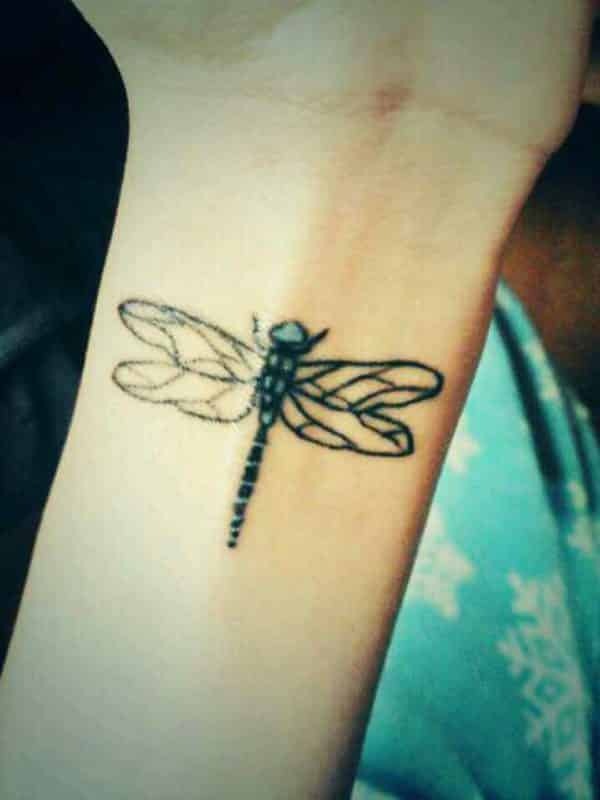 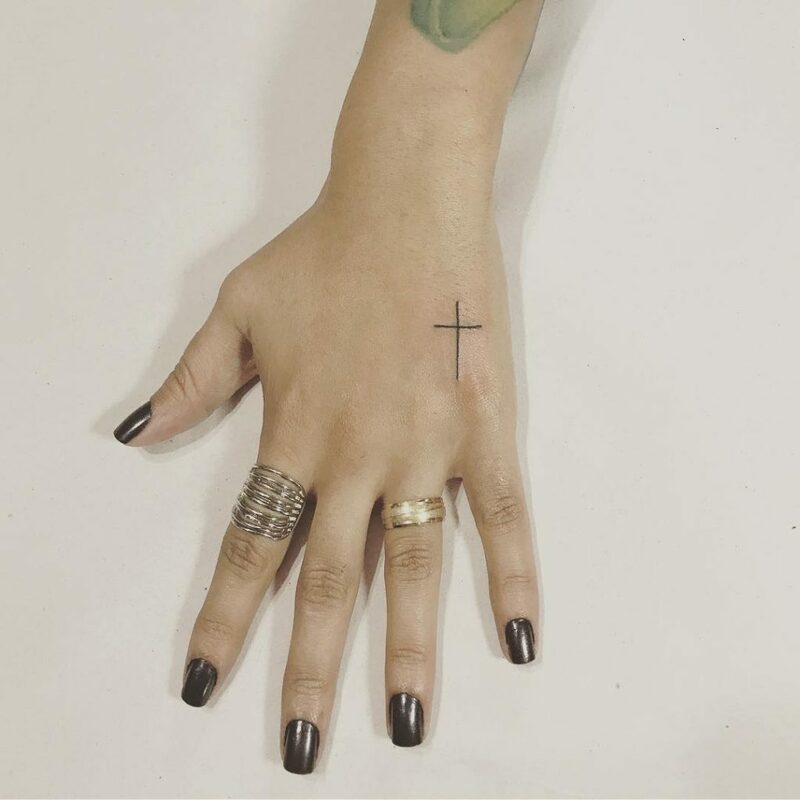 Tattoos have become the new chic fashion statement, and ladies are in the rush to join the bandwagon. 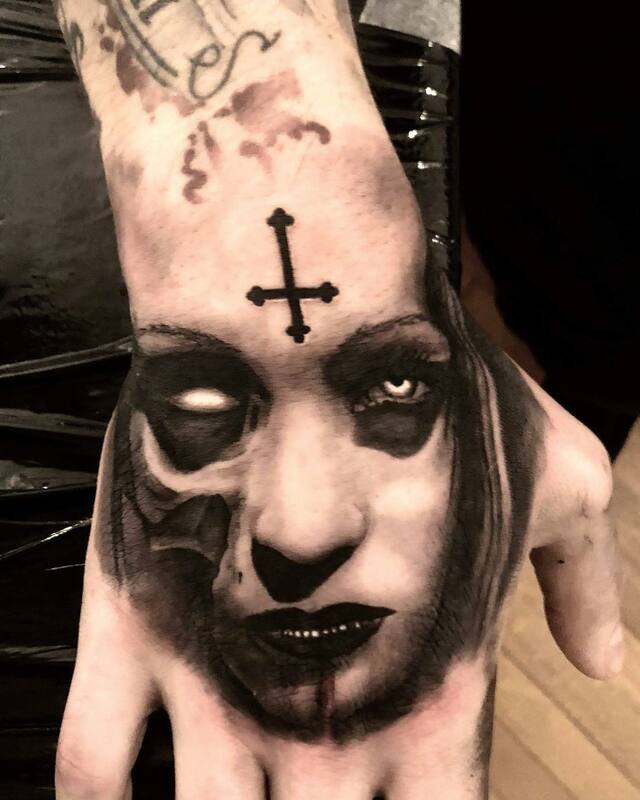 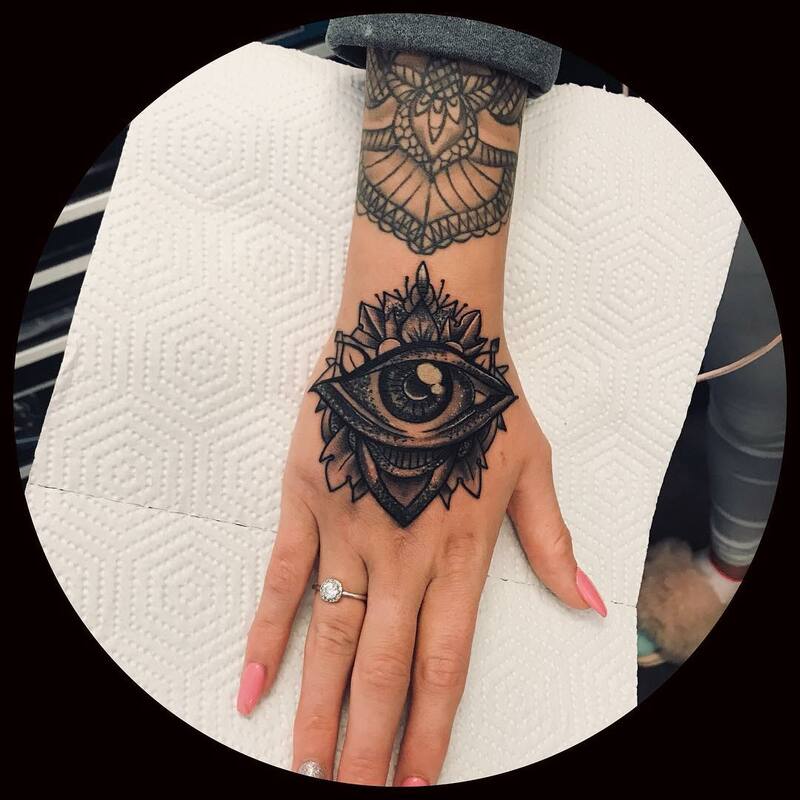 From tattoo queens Angelina Jolie to Jessica Alba and Megan Fox to Kat Von D to runway models, celebrities have popularized this body art and has seeped into highstreet fashion. 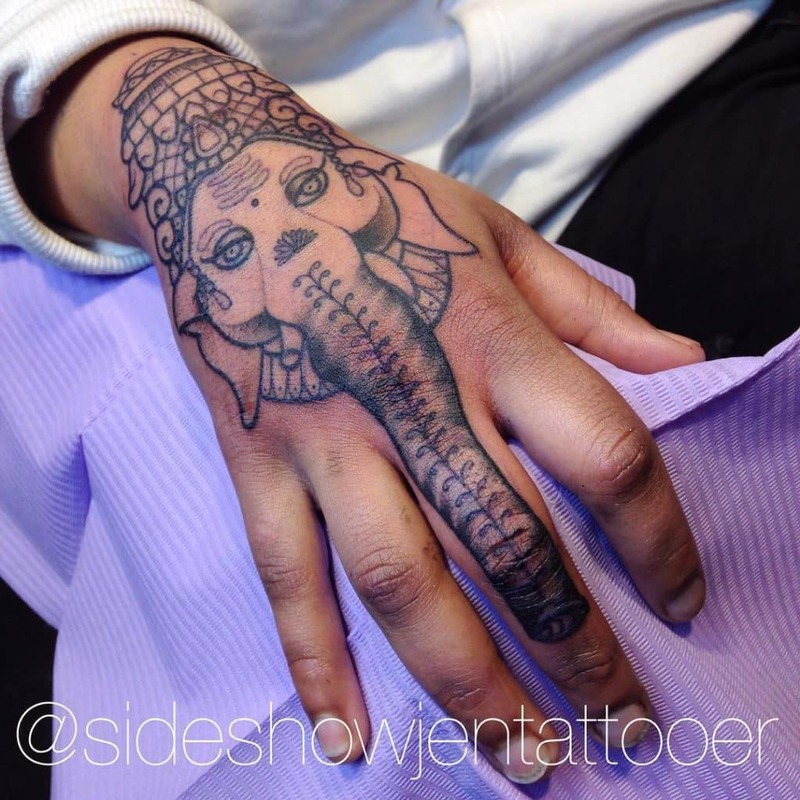 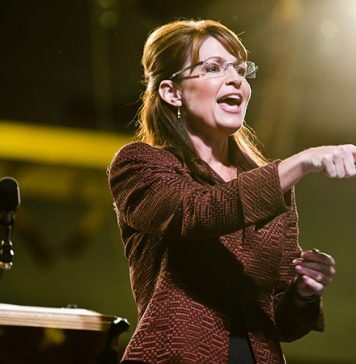 But make no mistake though, the stigma attached to tattoos still lurks on the sidelines. 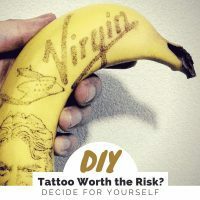 In movies, heavily tattooed actors are still cast as gang leaders and members, and there is a thin line between appearing stylishly fashionable with inked skin and looking like you just came straight out of a Russian prison. 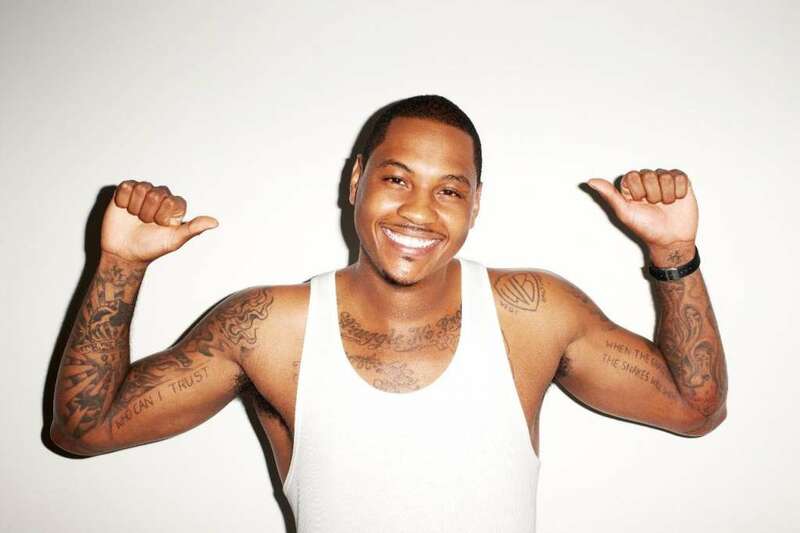 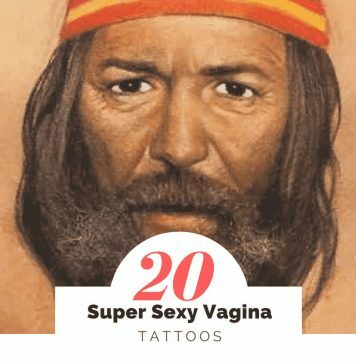 All men or women, being created equal, not everyone can pull it off and emerge as hot as the famous celebrities who sport tattoos. 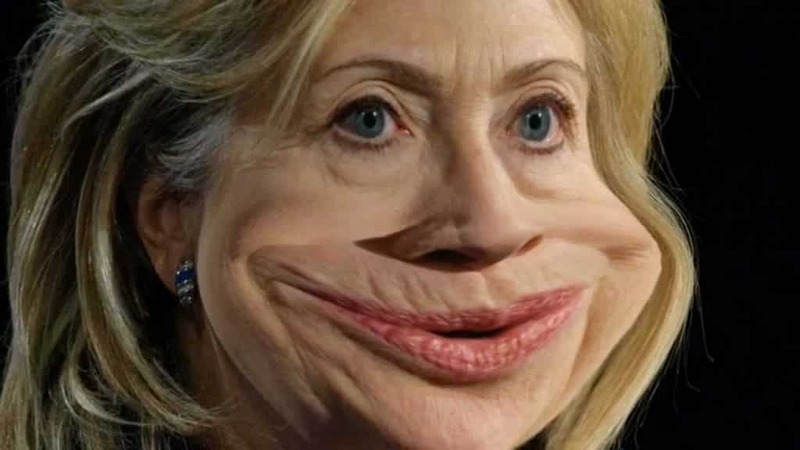 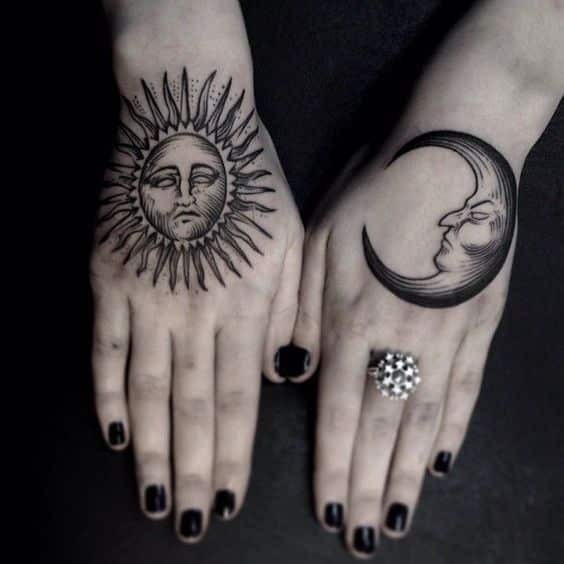 When it comes to design, placement, size, and style, the choice is numerous, but the best choice is the one that best expresses your personality, matches your taste, and should I say your pain threshold? 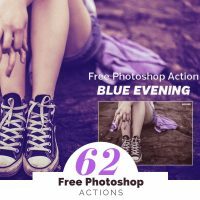 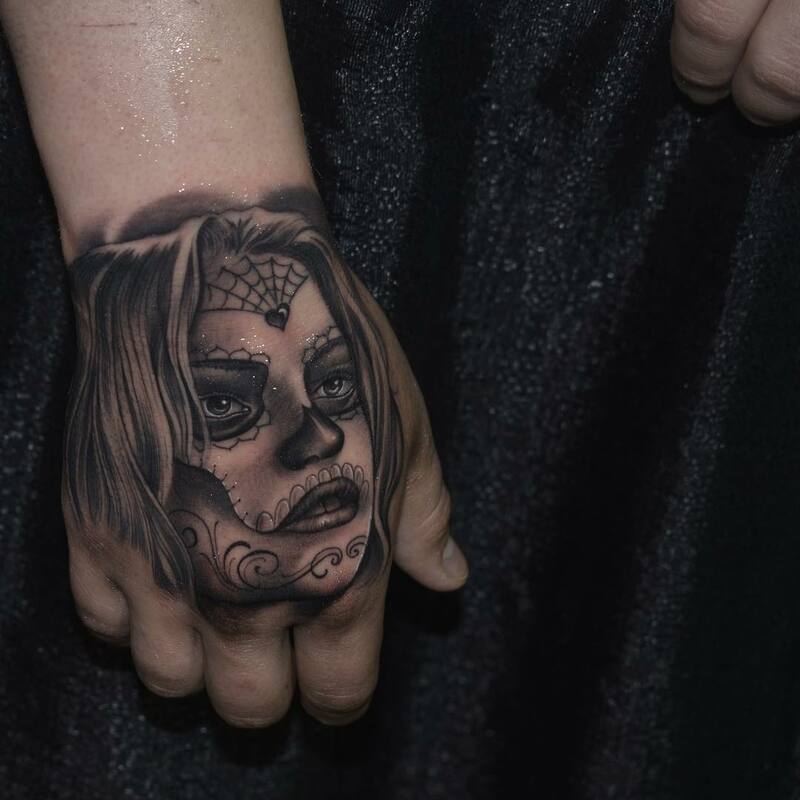 One of the most prominent placement is on the hands and fingers. 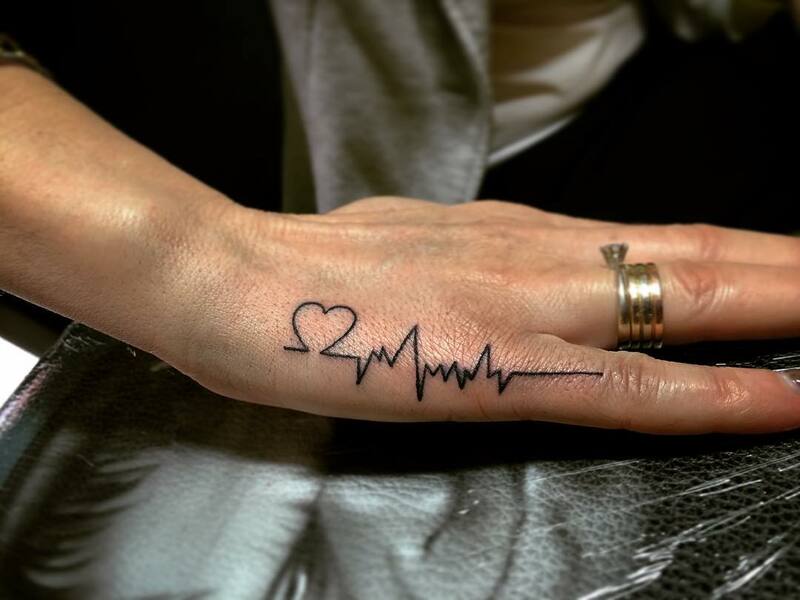 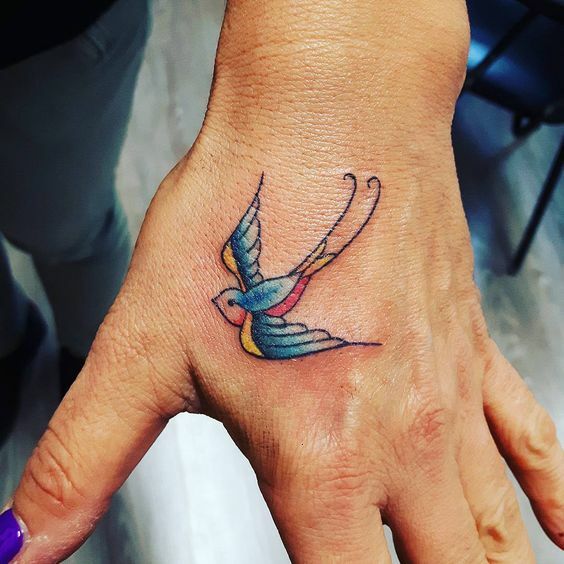 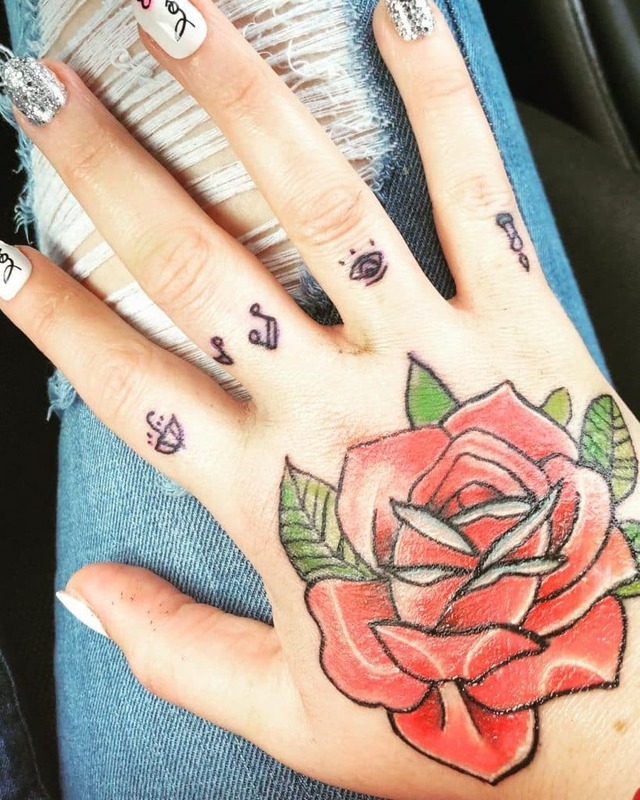 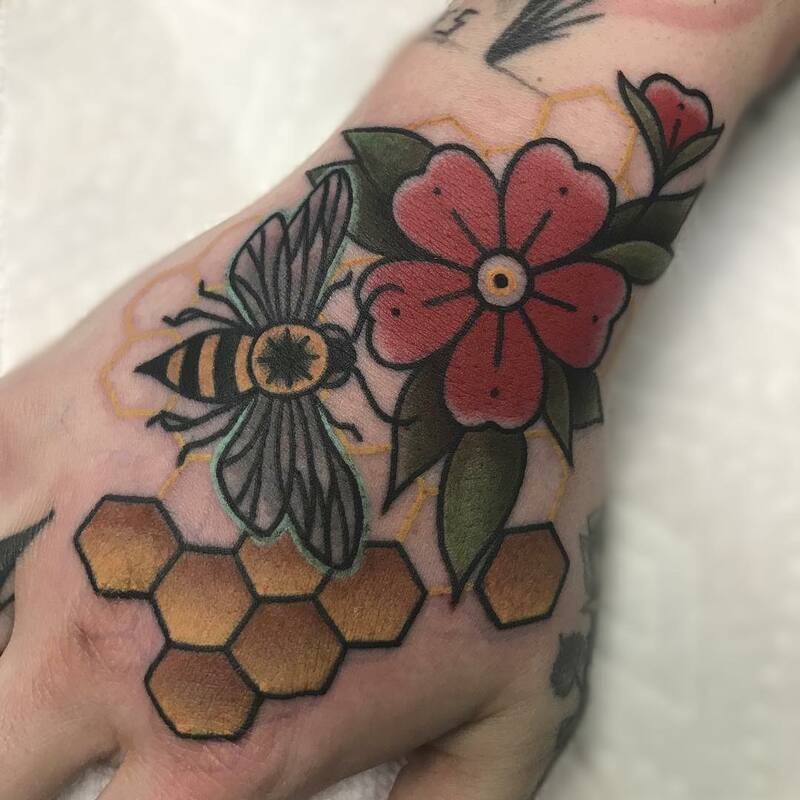 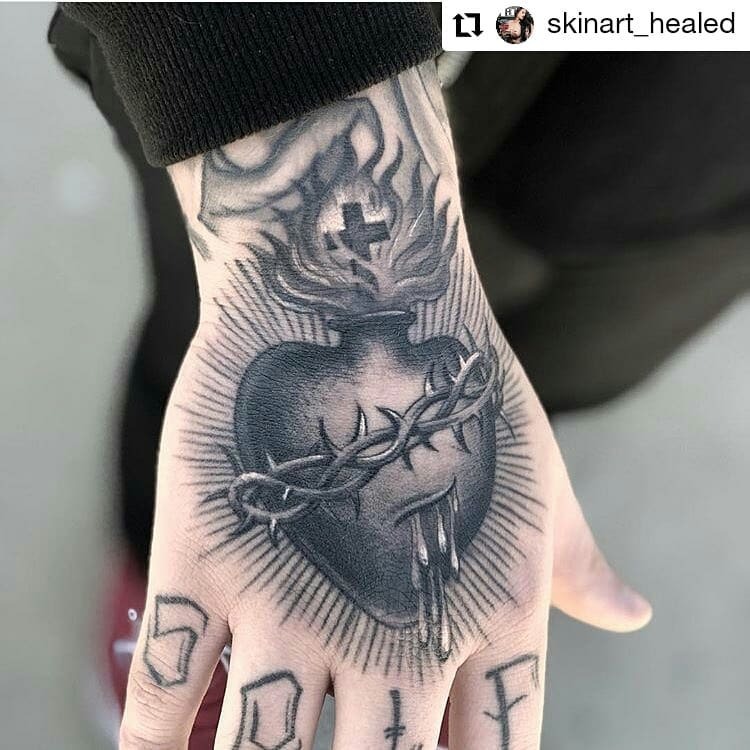 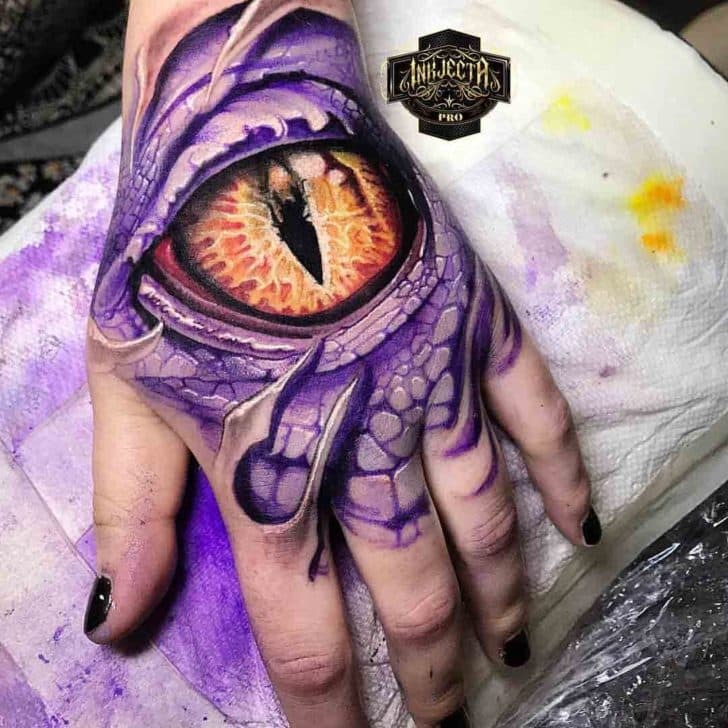 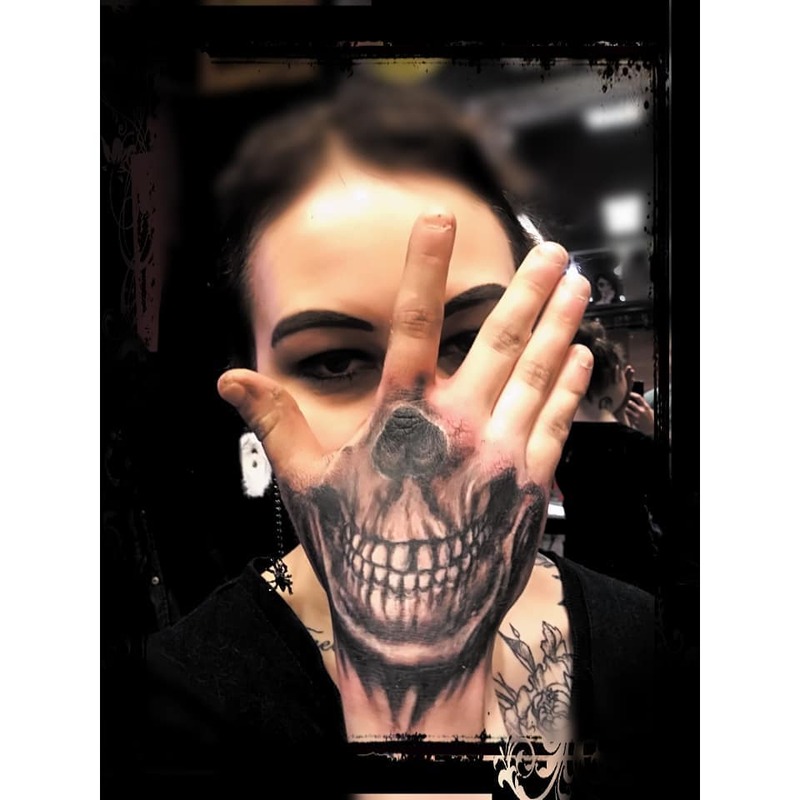 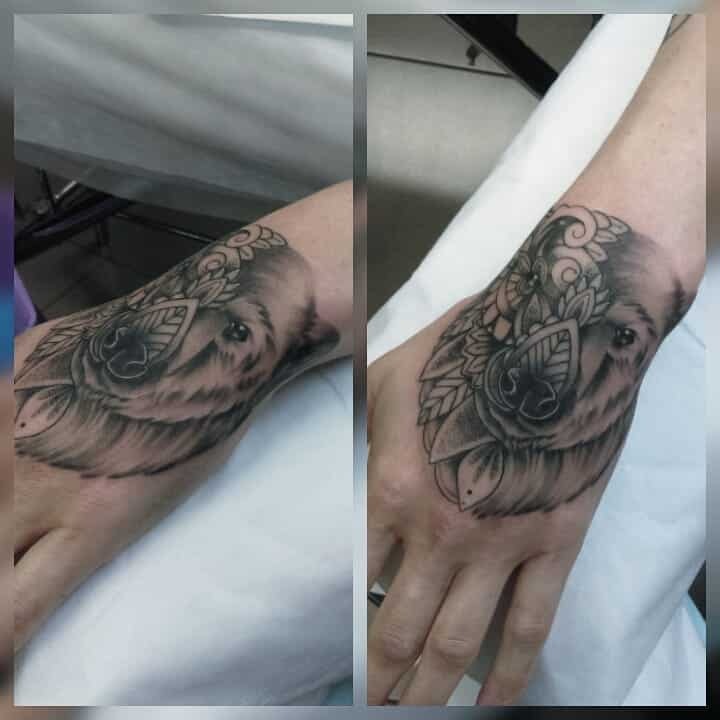 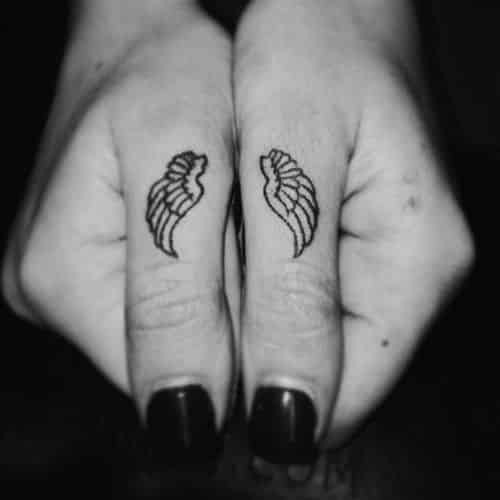 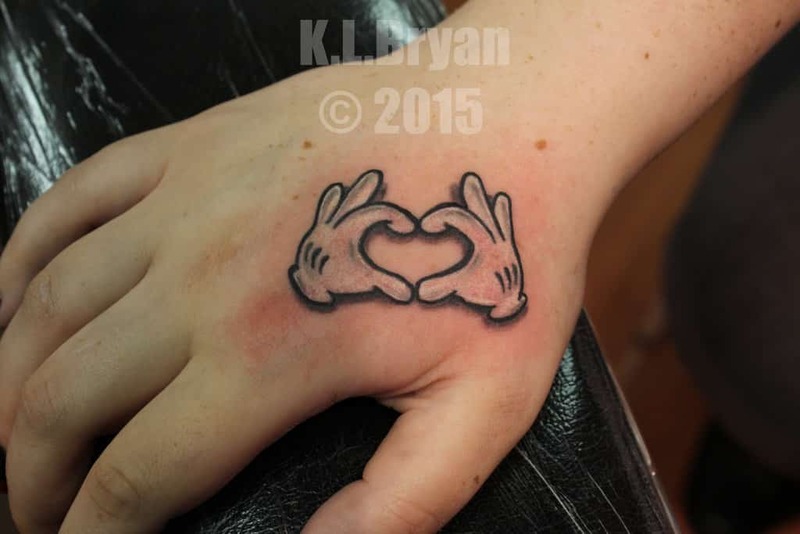 Whether you choose the more intricate and bold designs or the more discreet teeny-tiny micro ones hidden on the inner finger or in a spot where a ring can easily conceal it, hand tattoos for women could be the way to go. 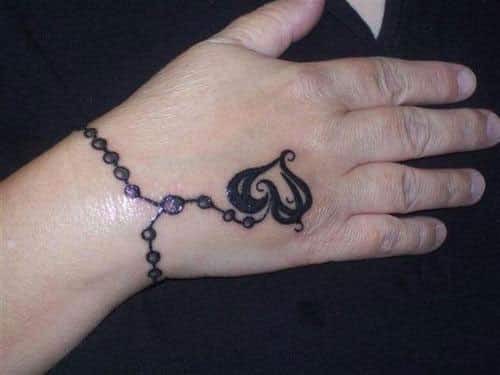 The designs could vary from the intricately beautiful Henna patterns placed across the hand and fingers to little letters, flowers, hearts, sun rays, musical notes, a cross, and many other delicate design ink-spirations. 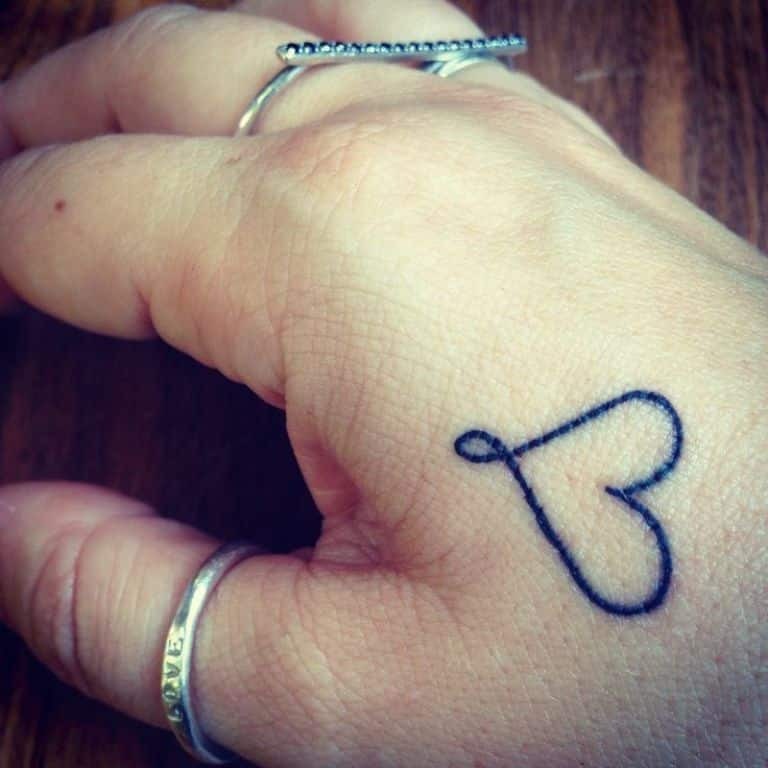 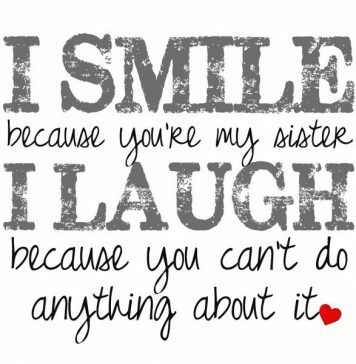 Most ladies prefer the subtle designs that imply sweet somethings or carry a meaningful message. 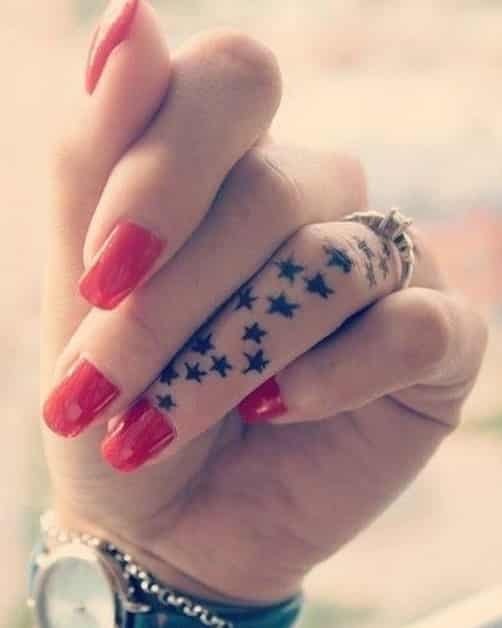 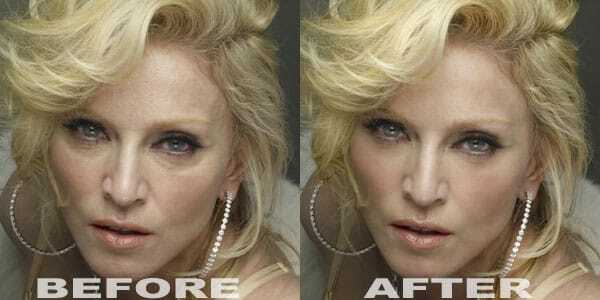 No doubt about it, tattoos are trendy, hot and cool nowadays but for some ladies, being inked goes beyond fashion. 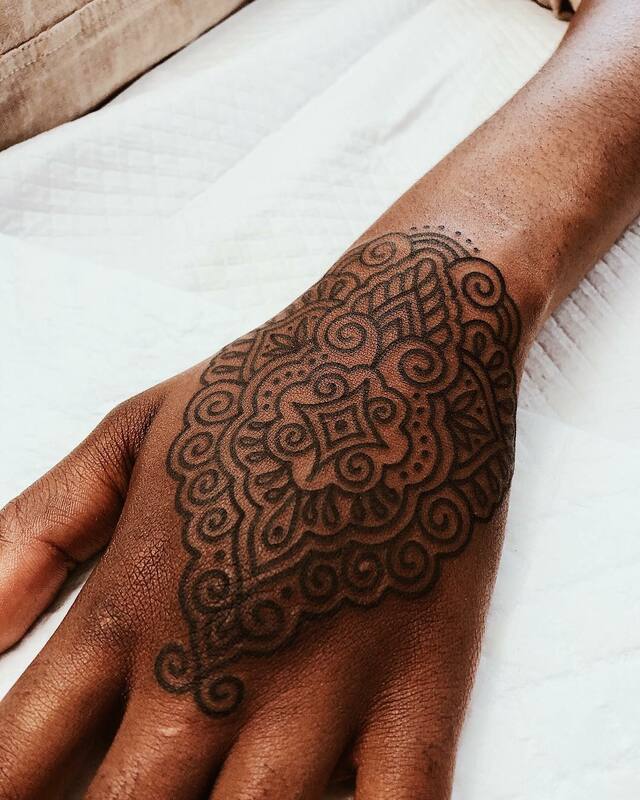 For something permanently inked on their delicate skin, the design must resonate with the wholeness of their spiritual, emotional, mental and physical self. 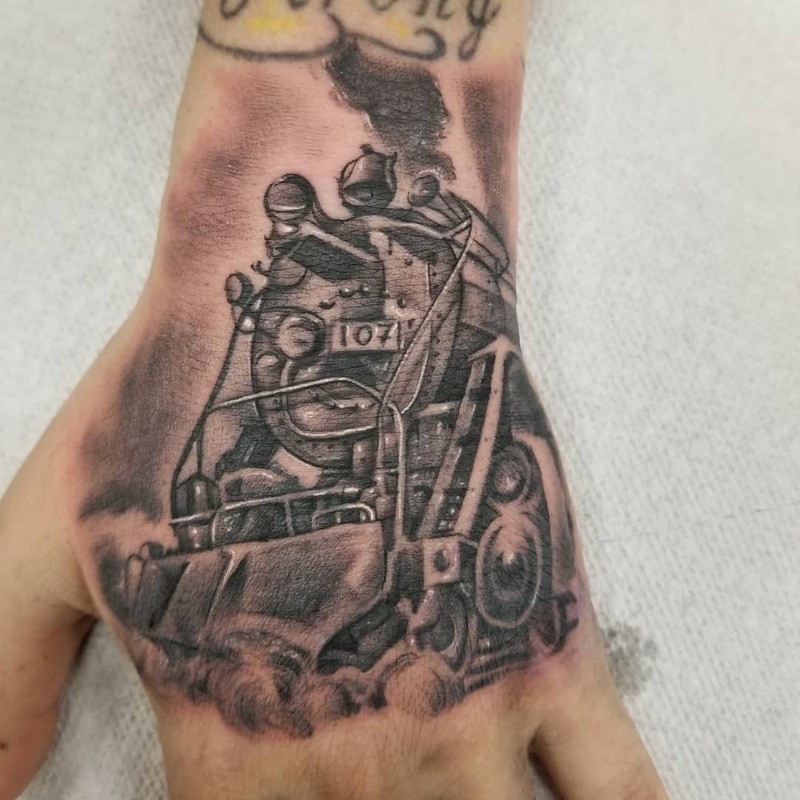 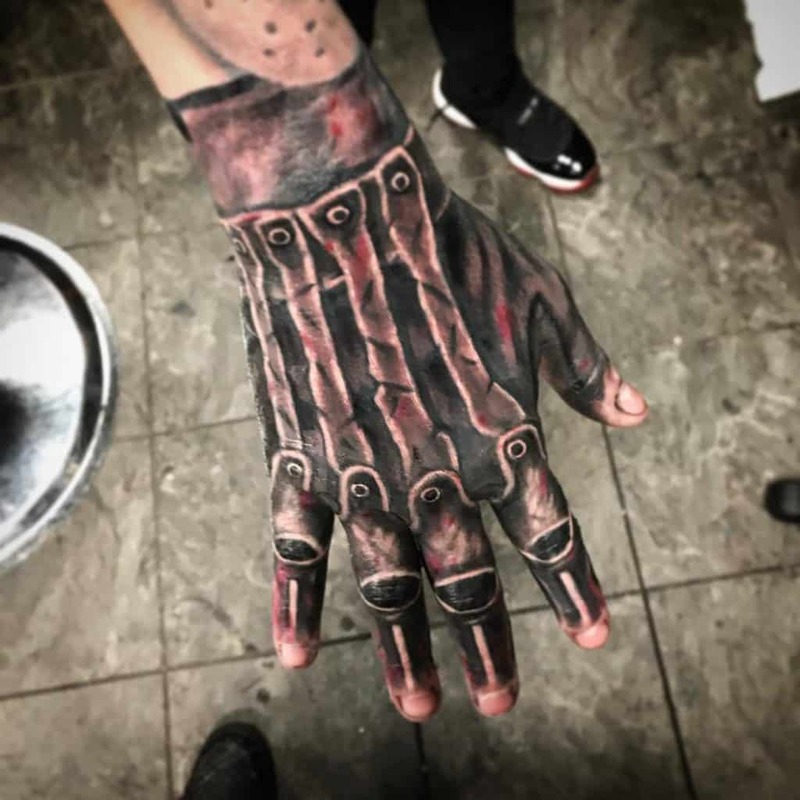 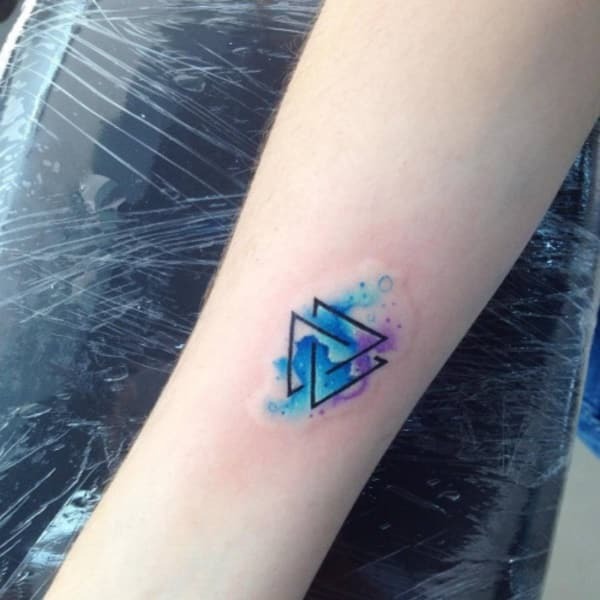 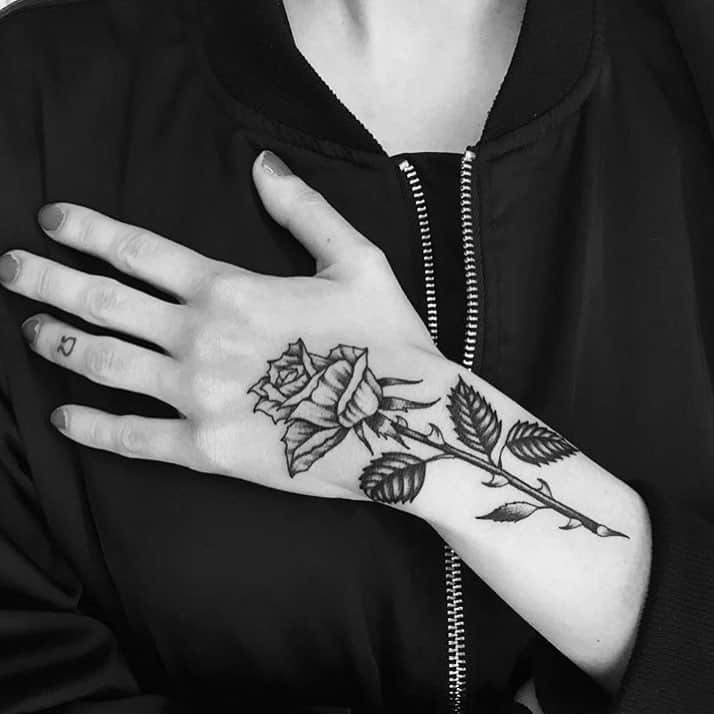 Whether it is to express a newfound independence, self-awareness, and rebelliousness or to express a profound statement, a single tattoo design can also paint a thousand words. 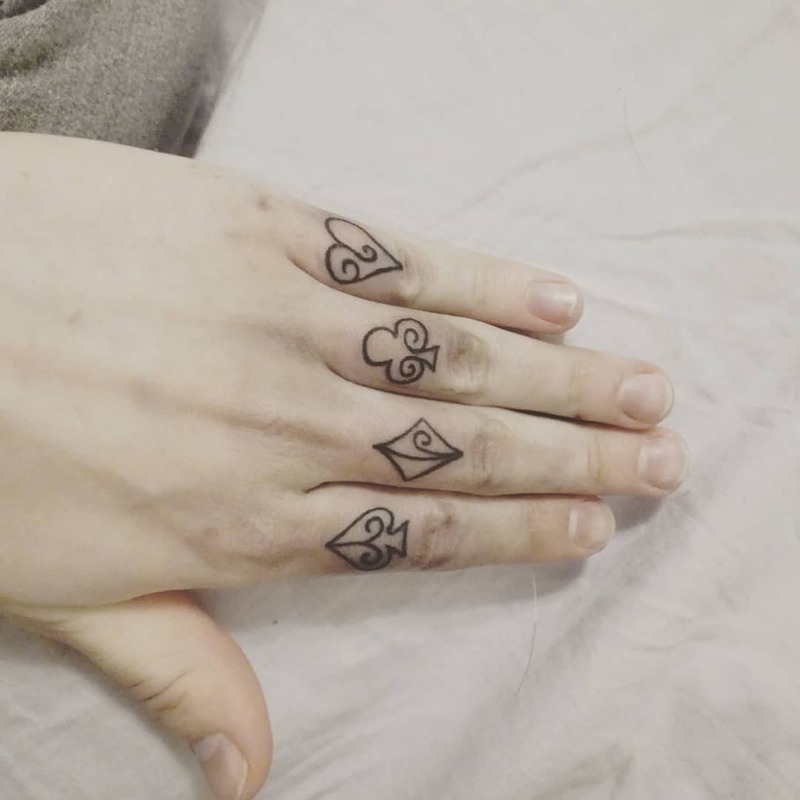 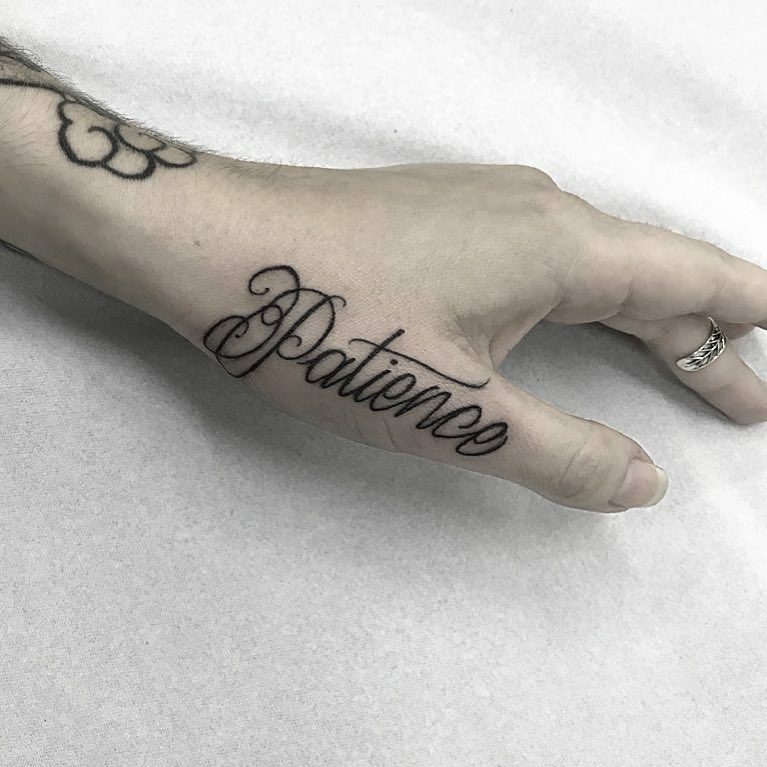 Here are some gorgeous hand tattoos for women that are not only beautiful but also meaningful, to inspire you to get one. 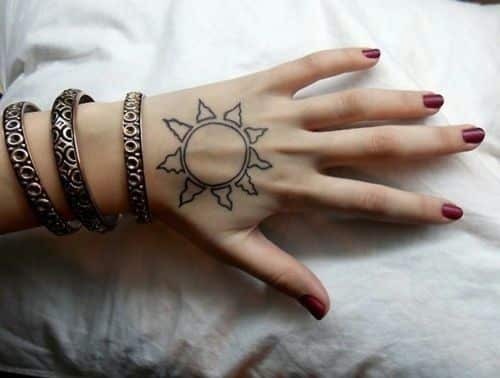 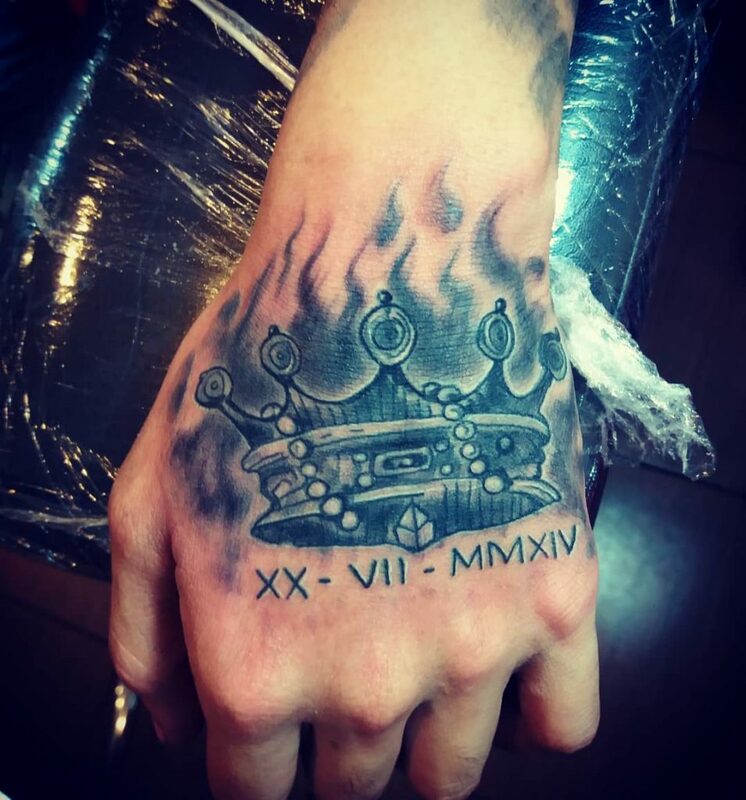 Sun Hand Tattoos for Women symbolize life, rebirth, hope, power and new beginnings. 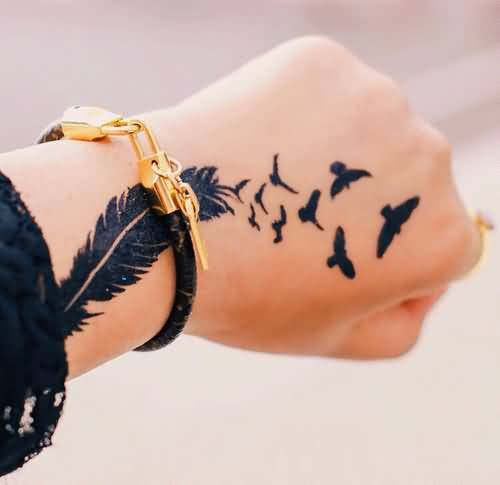 This is usually the choice of those who want to make a fresh start and leave the past behind. 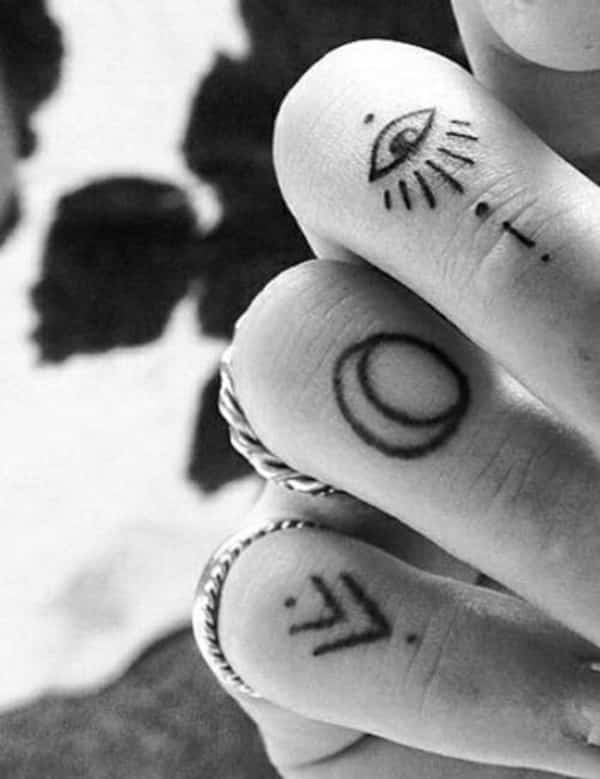 Glyphs Hand Tattoos for Women are tiny Greek symbols that means “to explore”. 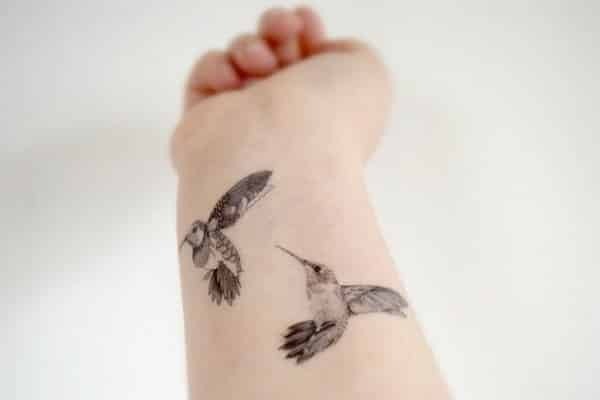 If you are an adventurous person, this design best expresses your zest for life. 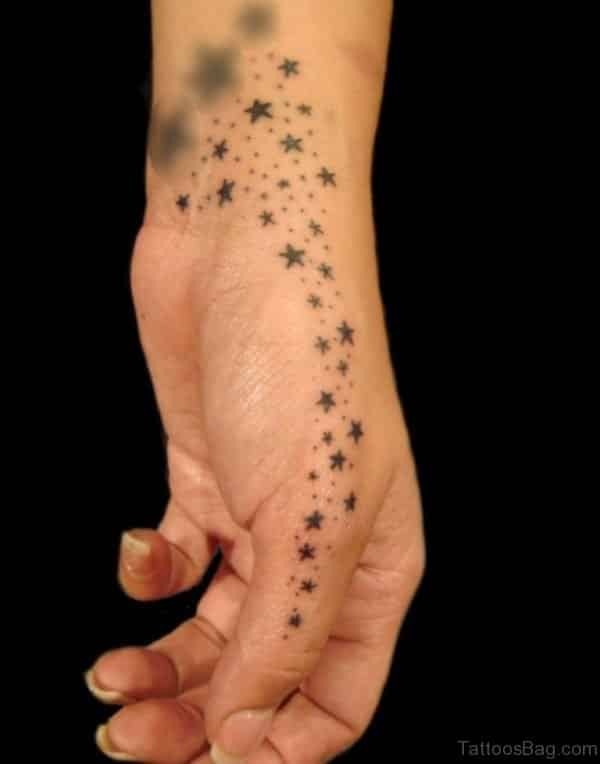 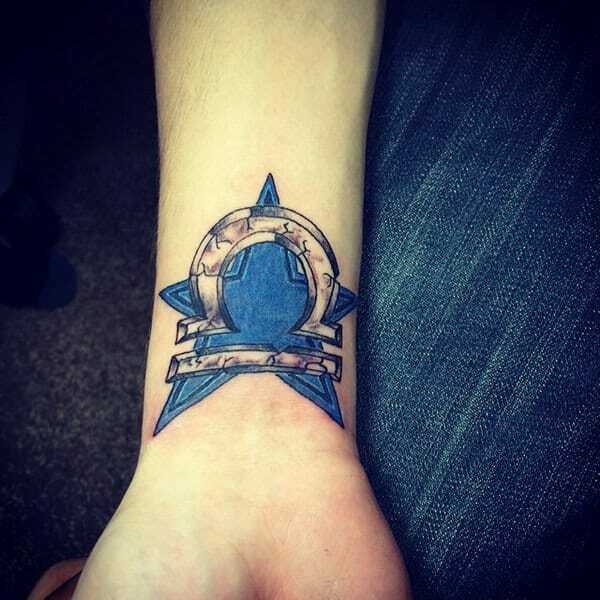 Zodiac Sign Hand Tattoos for Women speaks a lot about your personality traits and your destiny. 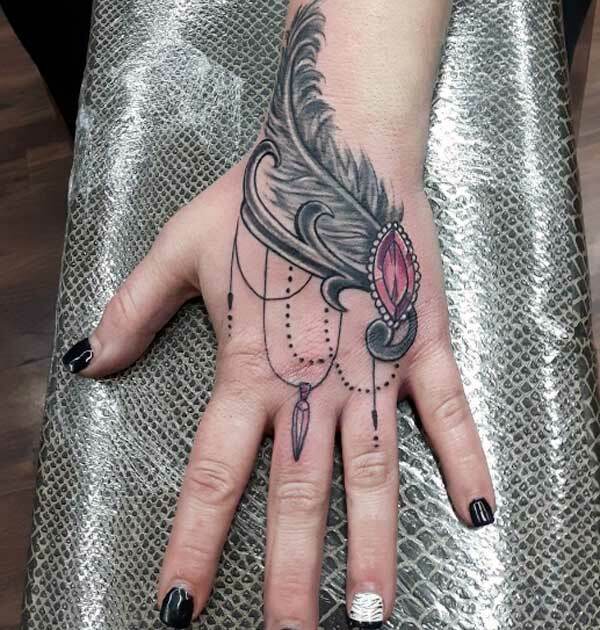 Feathers Hand Tattoos for Women stand for ascension and spiritual evolution to a higher plane. 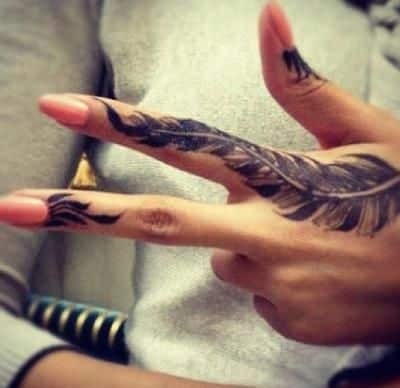 Feathers were worn by Native American Chiefs to symbolize their communication with the Great Spirit, and to express their celestial wisdom. 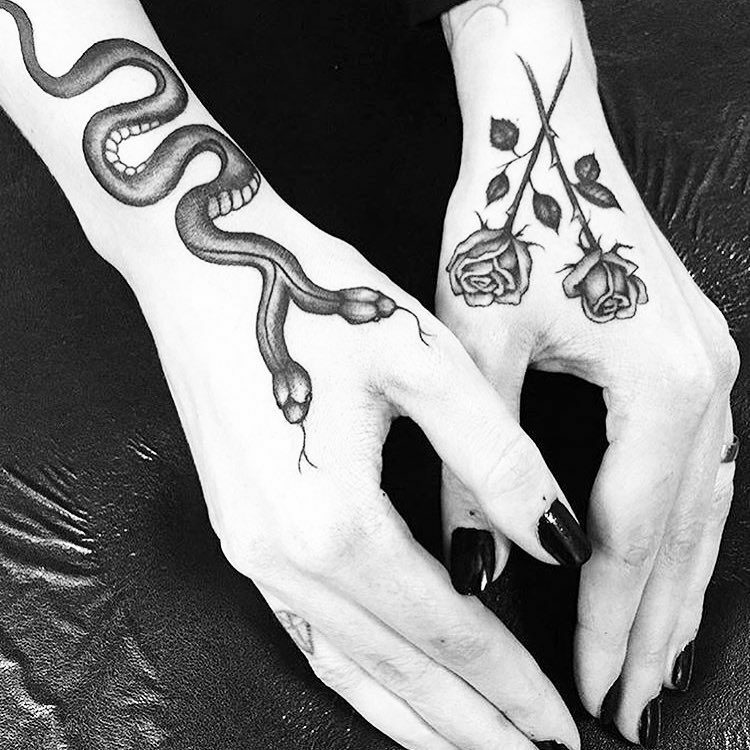 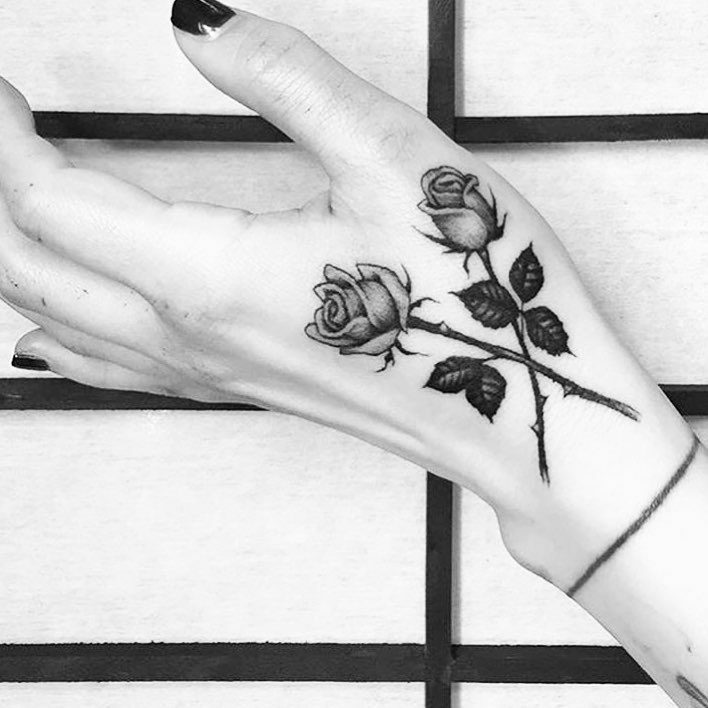 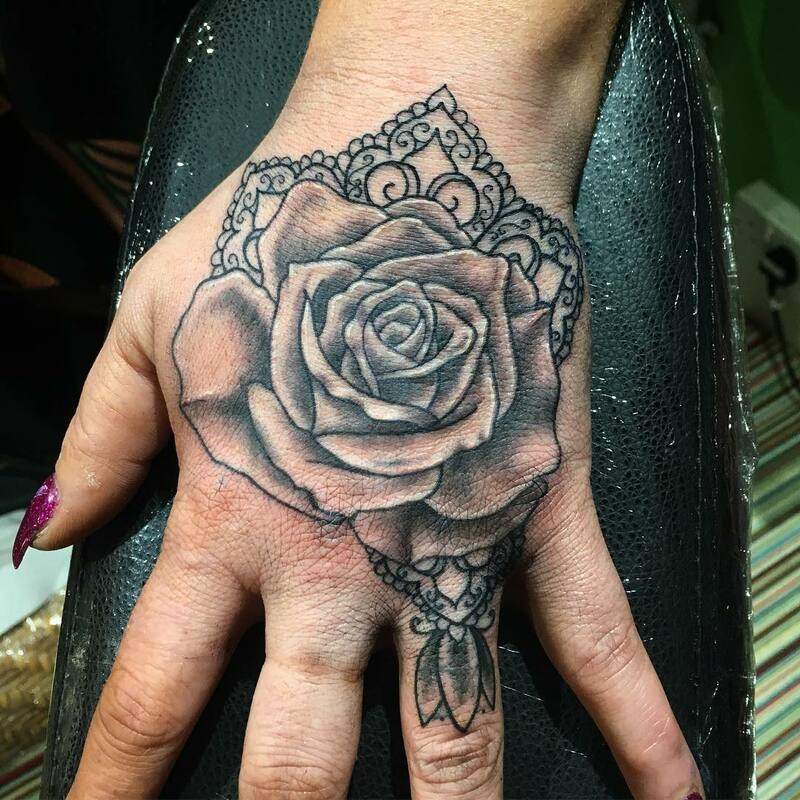 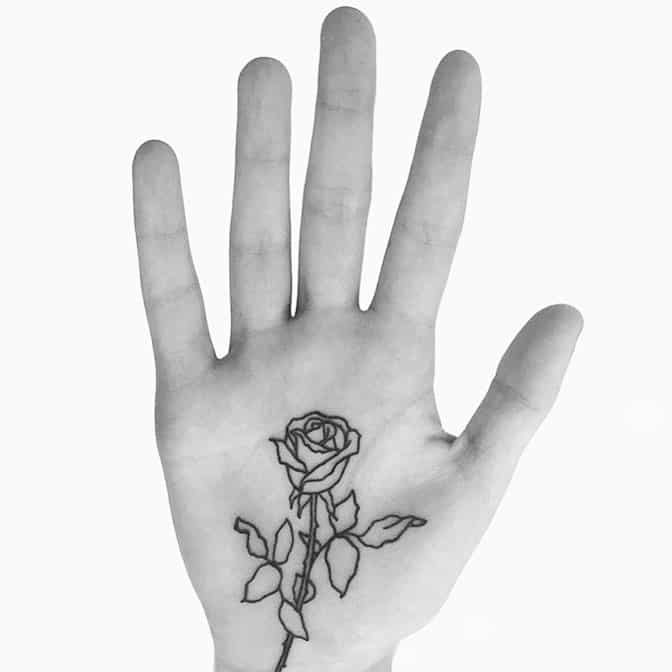 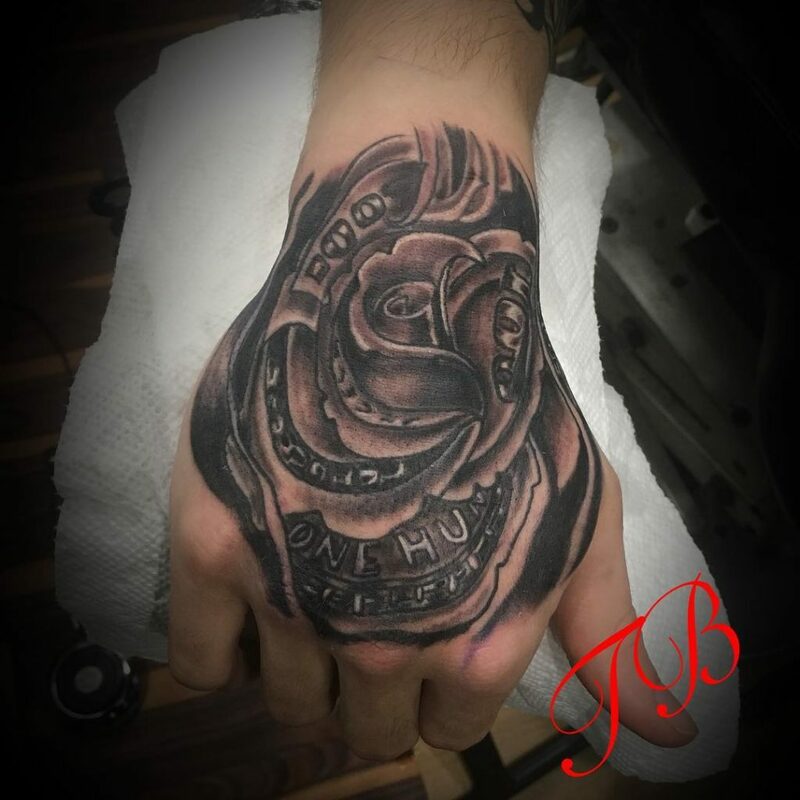 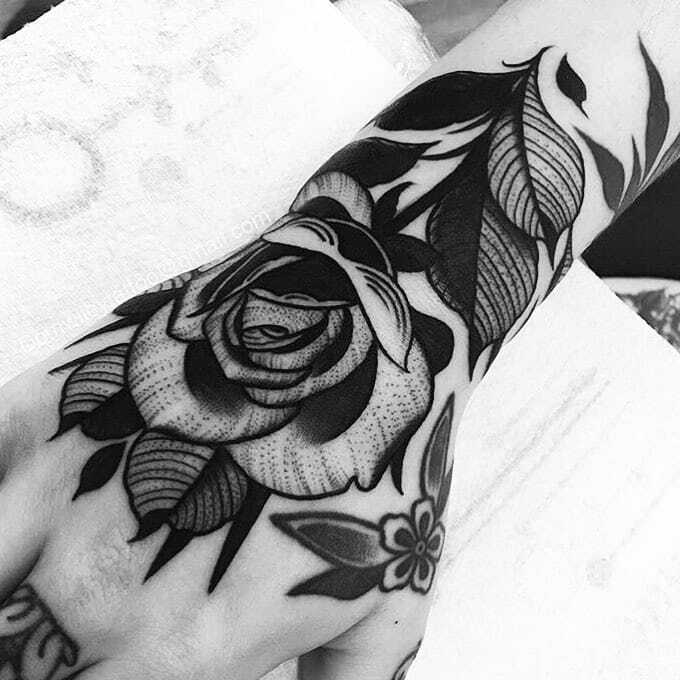 Roses Hand Tattoos for Women vary in significance depending on its color. 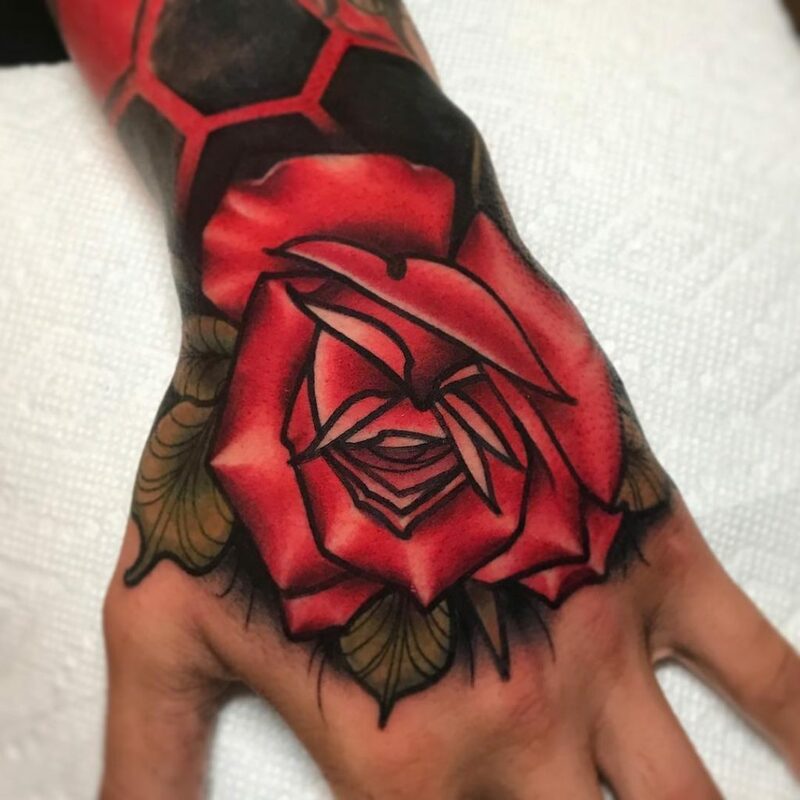 Red symbolizes passion and love; white stands for humility and innocence; pink for gratitude and admiration, orange, for enthusiasm and desire, purple represent enchantment and love at first sight, while black represents death. 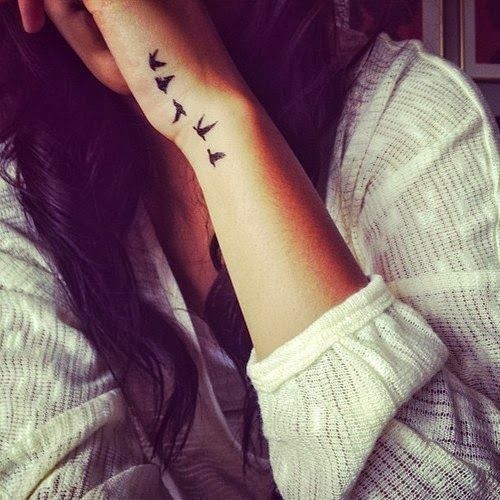 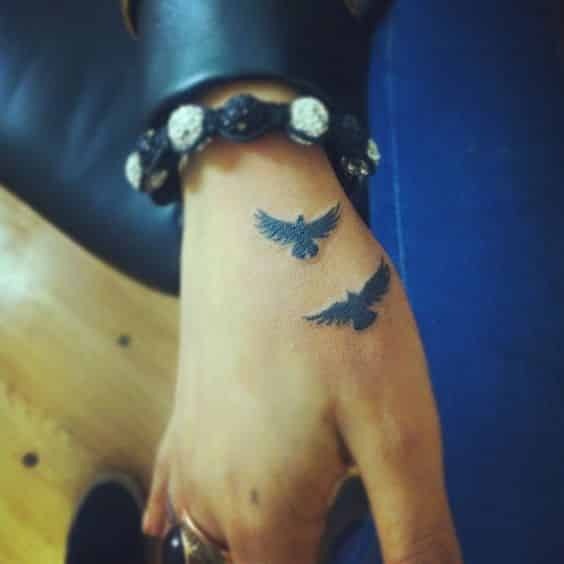 Birds Hand Tattoos for Women symbolize the spirit of those who want to stretch their wings and soar. 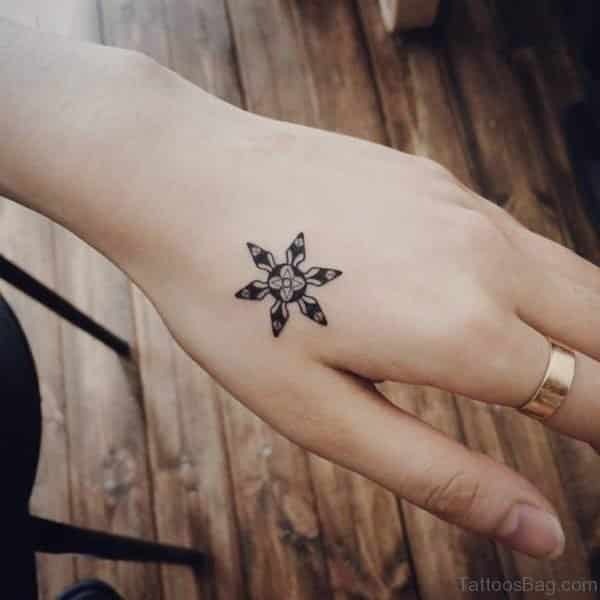 It is the perfect symbol for freedom and for the future. 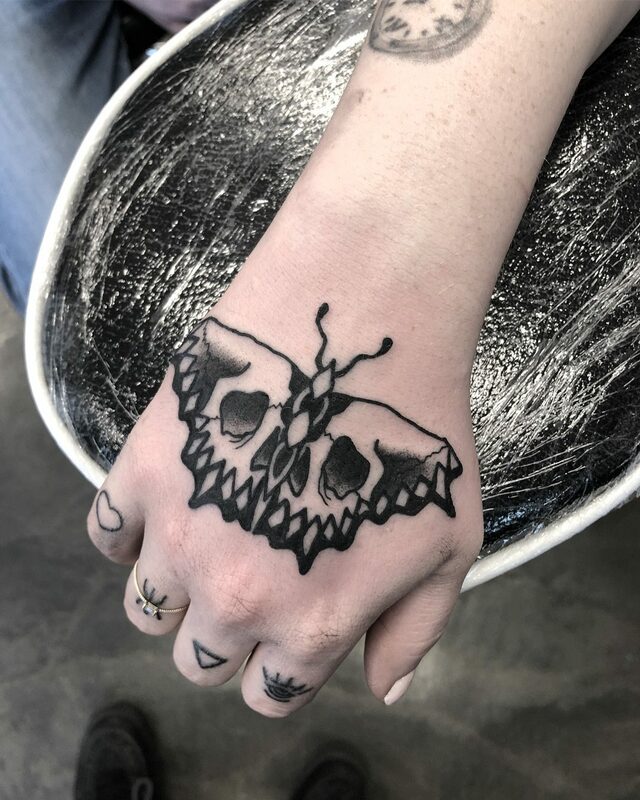 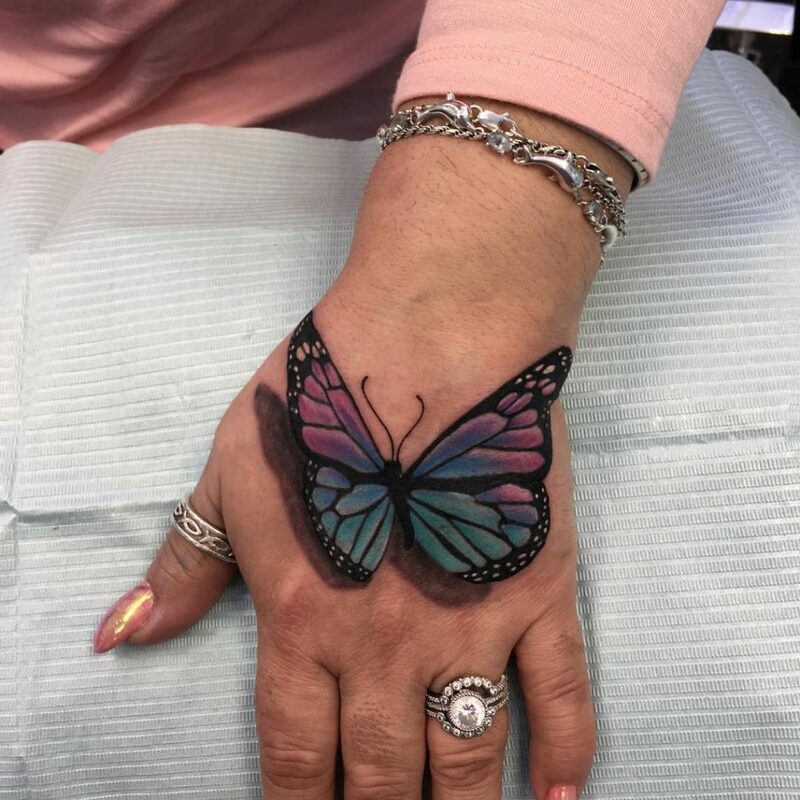 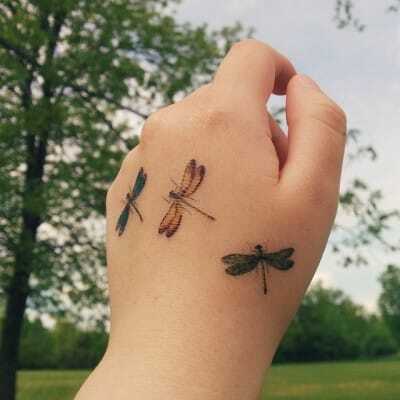 Butterflies Hand Tattoos for Women are powerful and deep representations of life. 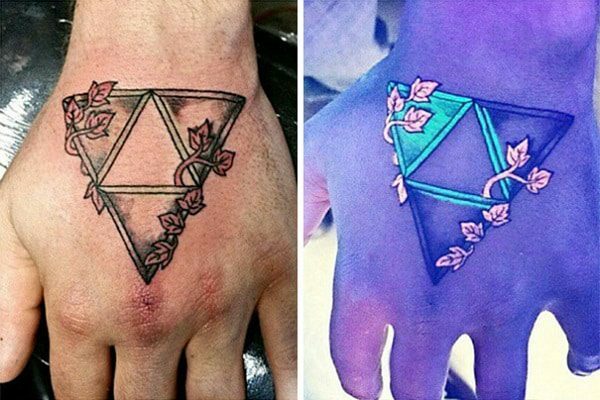 They stand for rebirth, metamorphosis, beauty and transcendence of the soul. 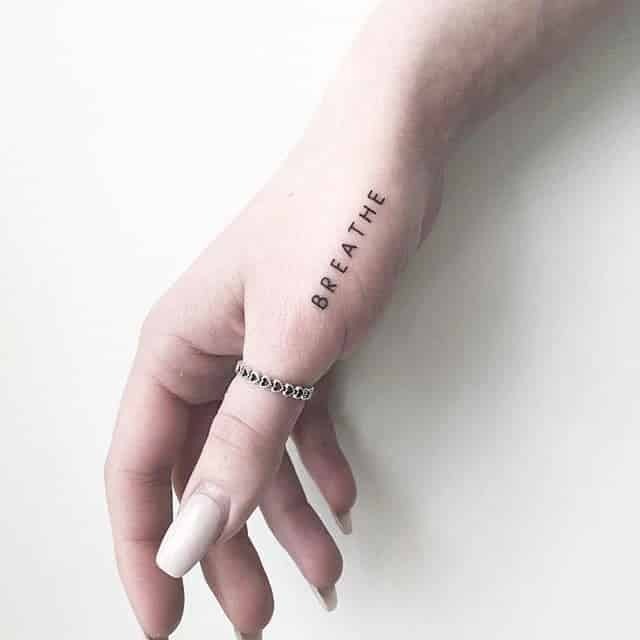 These are just a few of the myriads of designs out there, choose the one that suits you well, remember, it’s not something you can change at every whim – your tattoo becomes an integral part of your being.